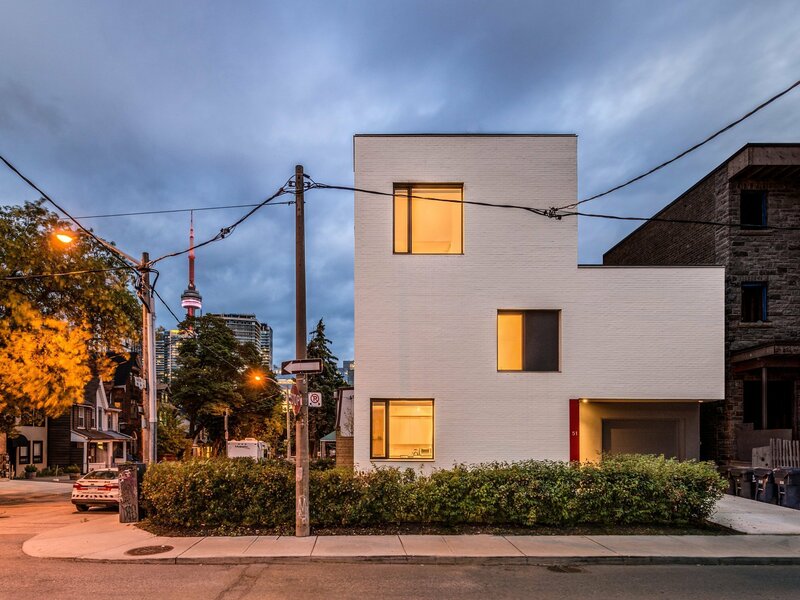 Grange Triple Double | Williamson Williamson Inc.
A corner lot in Toronto’s gritty Chinatown neighbourhood is the site for a multi-unit and multi-generational housing prototype. 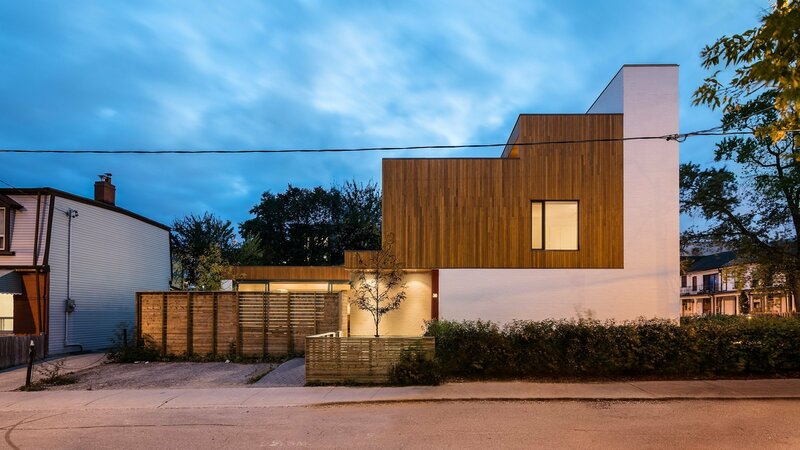 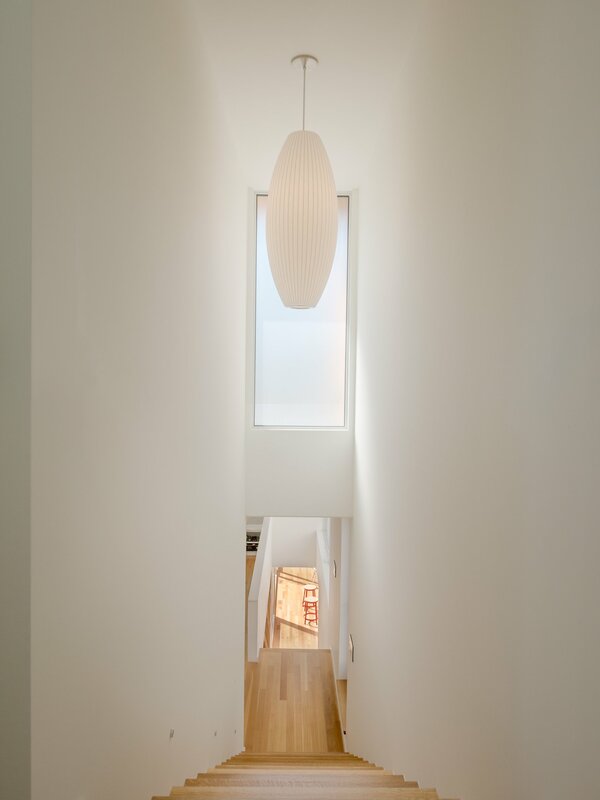 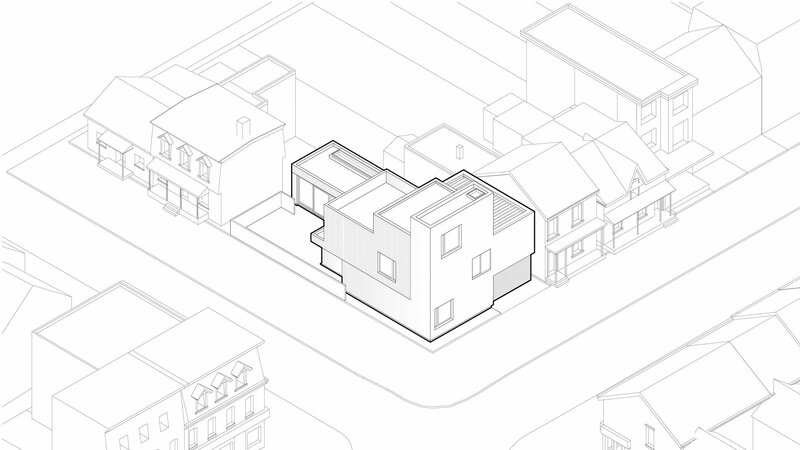 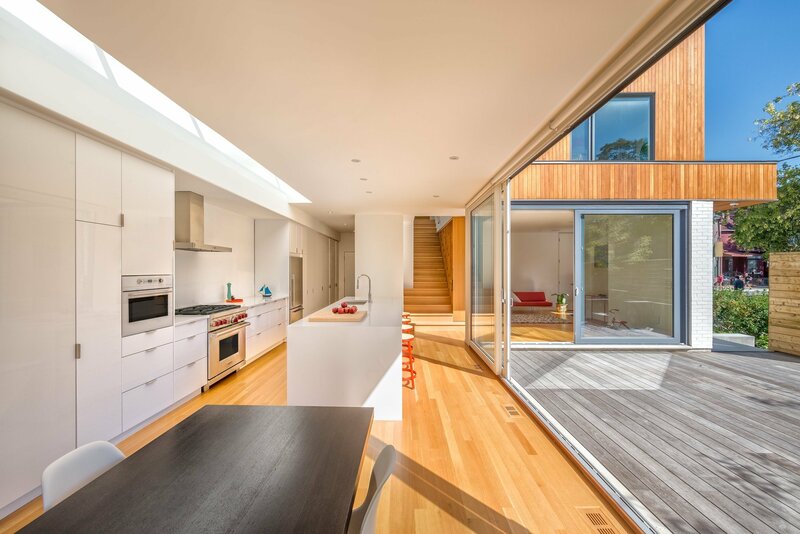 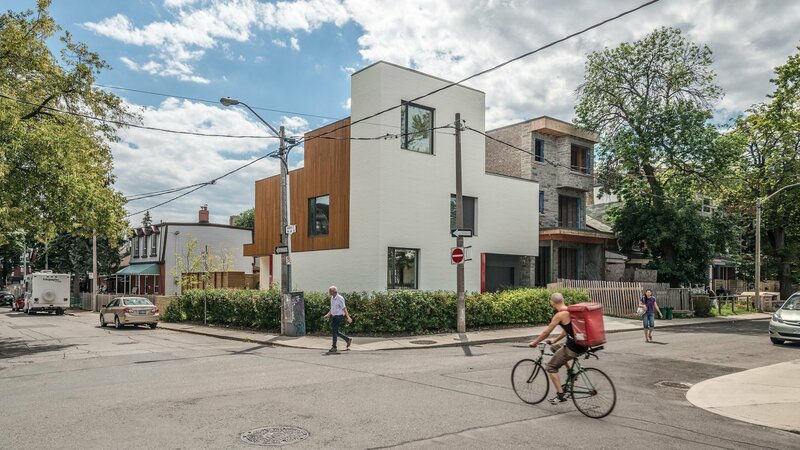 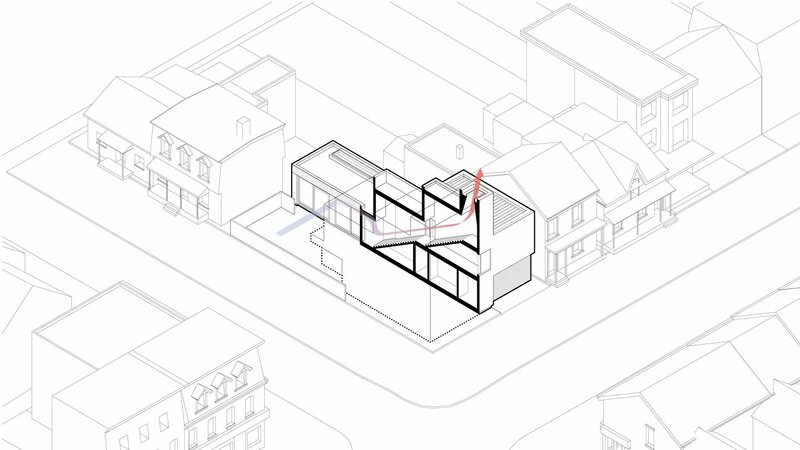 Stacking a rental unit, a grandparent’s suite, and living spaces for a young family on a double-wide lot allows, this modest home recognizes the possibilities of intensification latent in the morphology of Toronto’s urban fabric. 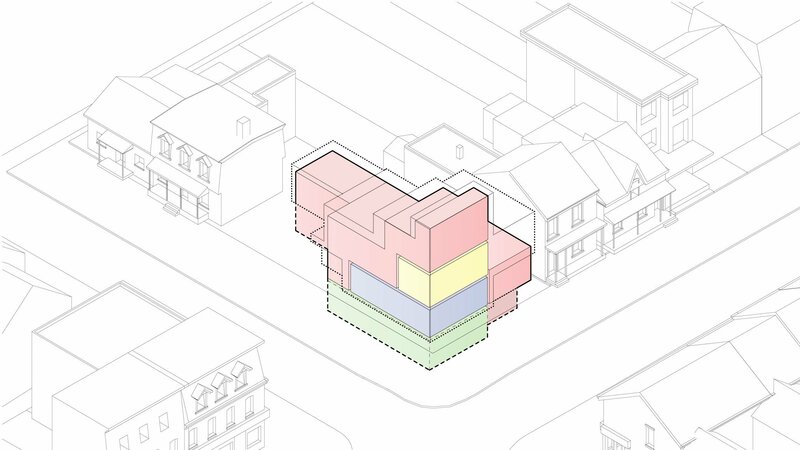 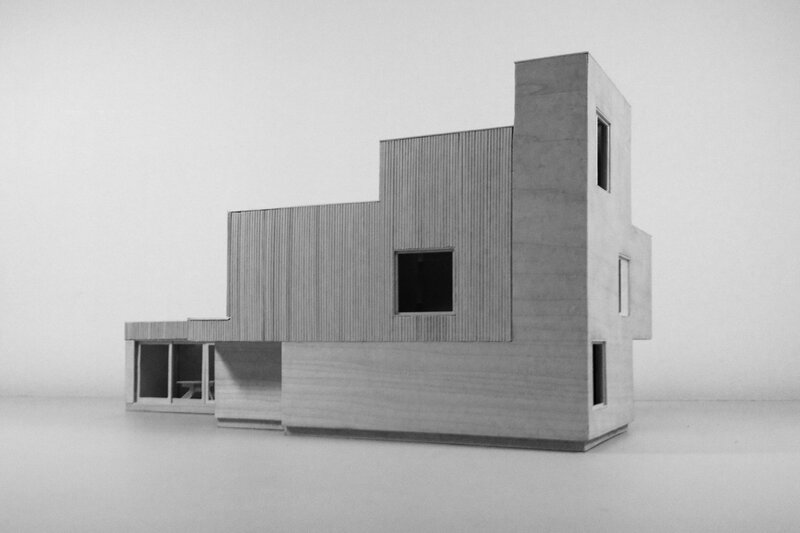 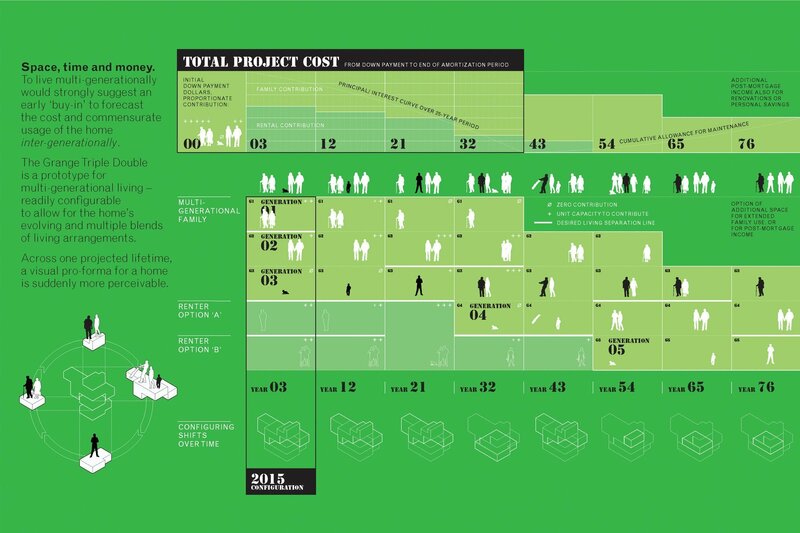 Future scenarios project the family using the spaces of the house and apartments in a variety of ways. 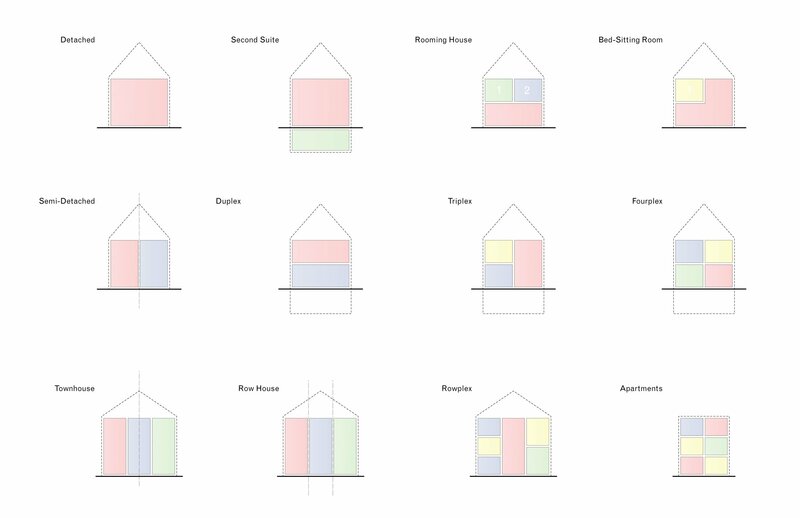 The children can move into a rental unit as they gain independence, the parents move into the ground floor apartment while the kids are in university and rent out the main house to another family, then the family comes together again in the future as the couple ages and their children have their own families. 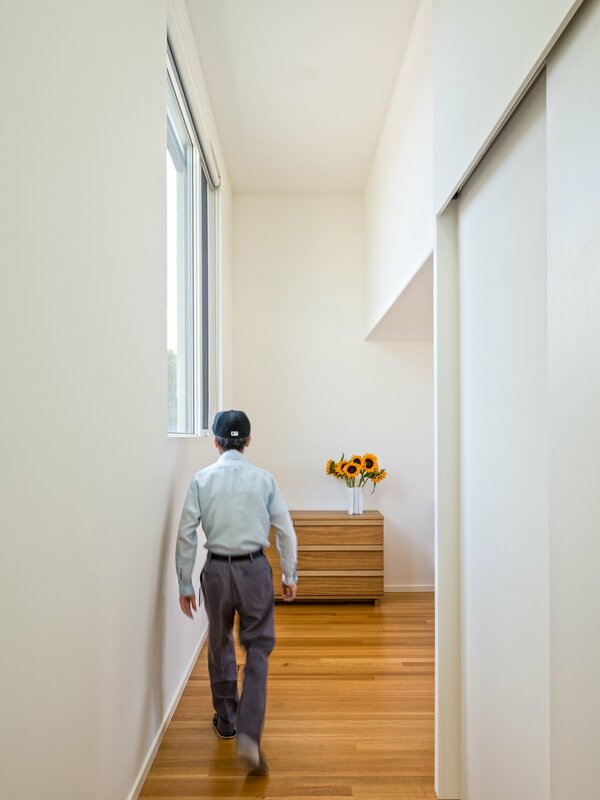 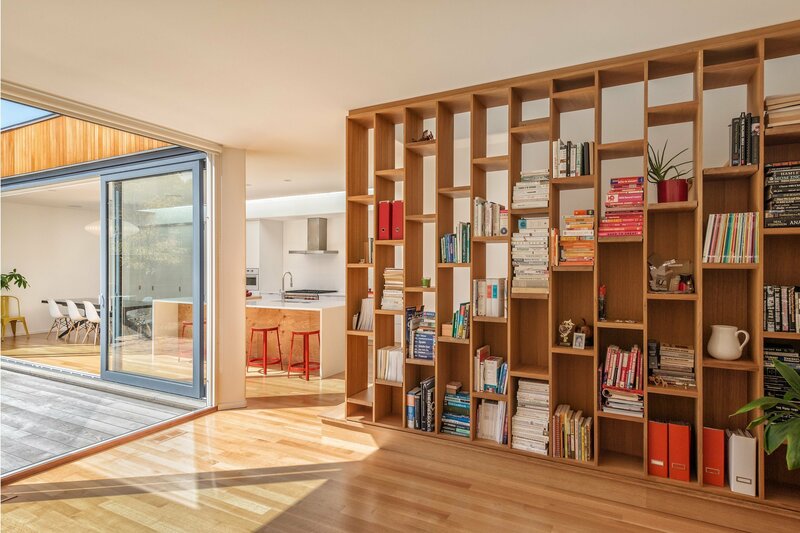 Discreet millwork components can be removed to connect the units and allow ageing grandparents to live on one floor in a small apartment that is connected to the shared family spaces. 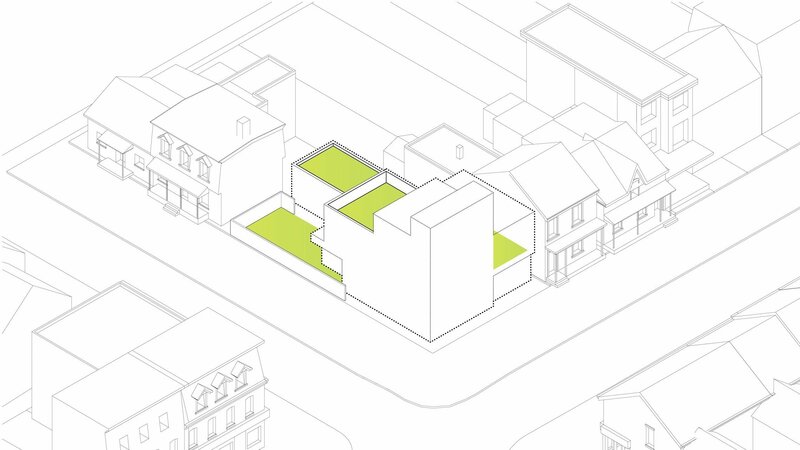 Spaces that are shared yet autonomous and discreet yet flexible are the components that create this new type of home.